Jeffrey Friedl's Blog » Today’s Quiz: What am I (besides colorful hexagons)? 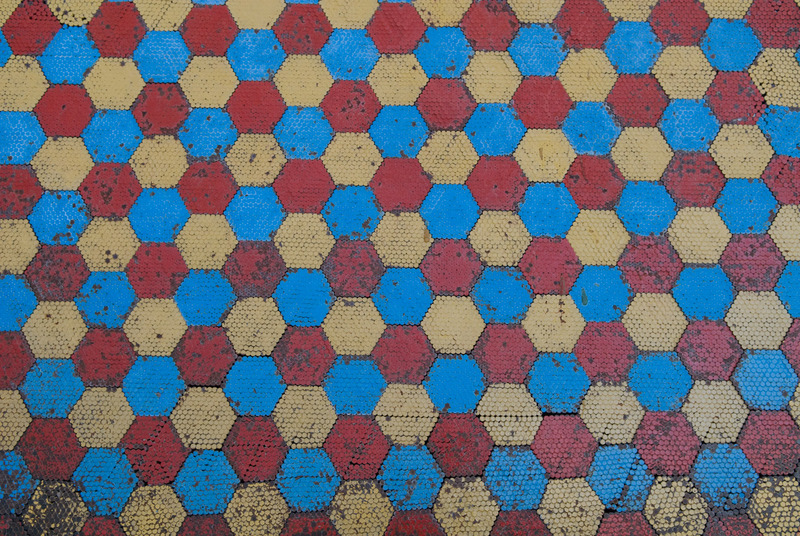 Today’s Quiz: What am I (besides colorful hexagons)? Colorful Hexagons — What am I? Looking at the Exif data may well provide a clue.... or maybe not. It’s the new Friedl sensor! Watch out for those dust specks, though. LEDs on a huge advertising billboard? But I prefer Greg’s thought! Shot 1m away with a wide angle lens… but don’t I see hairs/dust on it, indicating a small object. Unless those are cracks…. this one’s just too hard. I’m going to say this is some kind of rubber surface that is intended to get dirty or scuffed, such as the bottom of a shoe or rubber foot.